Why Should Businesses Invest in Living Walls? If you appreciate the design and functional concept but have limited space consider a single frame living wall planter to create dramatic hanging wall art. It's sure to grow on you! 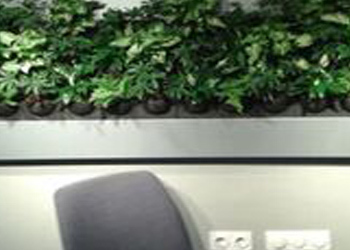 Whether you prefer a full living wall infrastructure, or the stunning look of a living mural provided by a living wall planter, we can construct a dynamic system that will promote healthier, more relaxed customers and employees. Call Greenworks Interior Plant Services today for more information. What Exactly Is A Living Wall Planter? How Hard Are They To Maintain? Not only can we create a vertical garden or living walls for interior or exterior buildings, but we also offer a living wall planter that will present an entirely new approach to mural art. 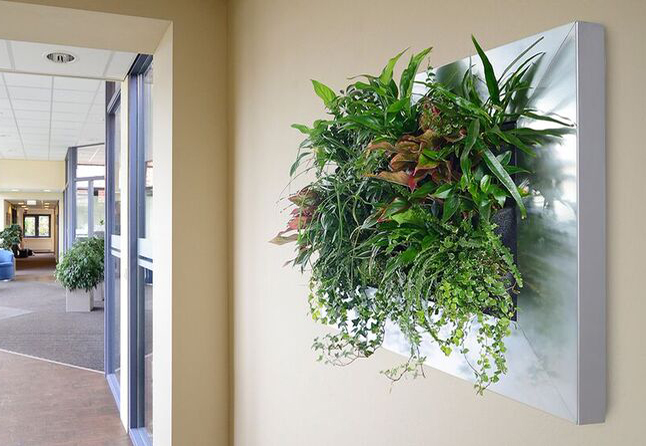 Living wall planters offer a means of arranging a collection of plants in a planter and mounting it on a wall surface. Maintenance consists primarily of thorough manual watering and supplemental lighting to ensure plant growth. We have plant specialists with firsthand knowledge of the types of plants that are ideal for your environment. Call us today for additional information. 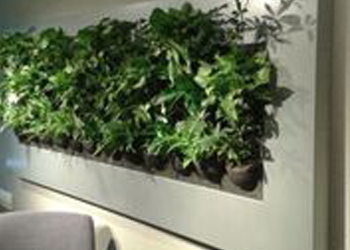 Why Choose Greenworks For Your Custom Vertical Garden and Living Wall? For professionals like us, building a custom vertical garden or living walls has a difficulty level equal to painting a unique wall. For the amateur, it will likely become an intensive project. Unlike a living wall planter that is designed for individual manual watering, our vertical gardens or living walls are designed as self-contained units with an irrigation system insuring a constant supply of water.